Hello Friends – this is a terribly overdue post. 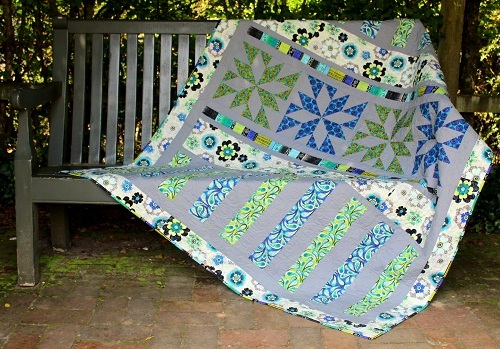 Due to various reasons, I wasn’t able to take pictures of my Urban Oasis quilt till a few days ago. 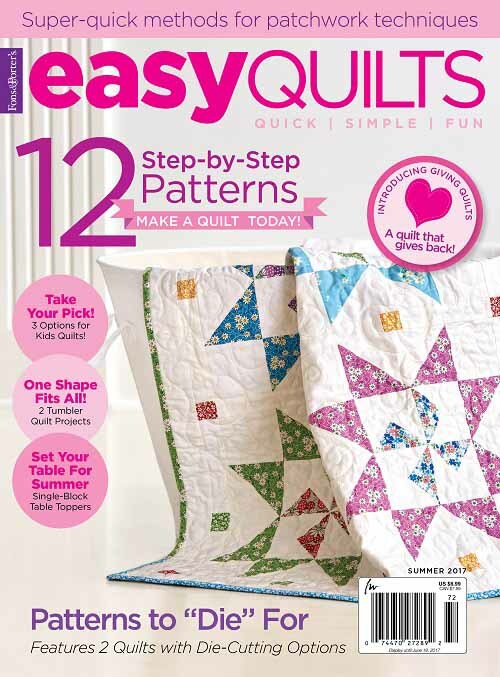 Urban Oasis was featured in Quilter’s World Spring 2014 issue. 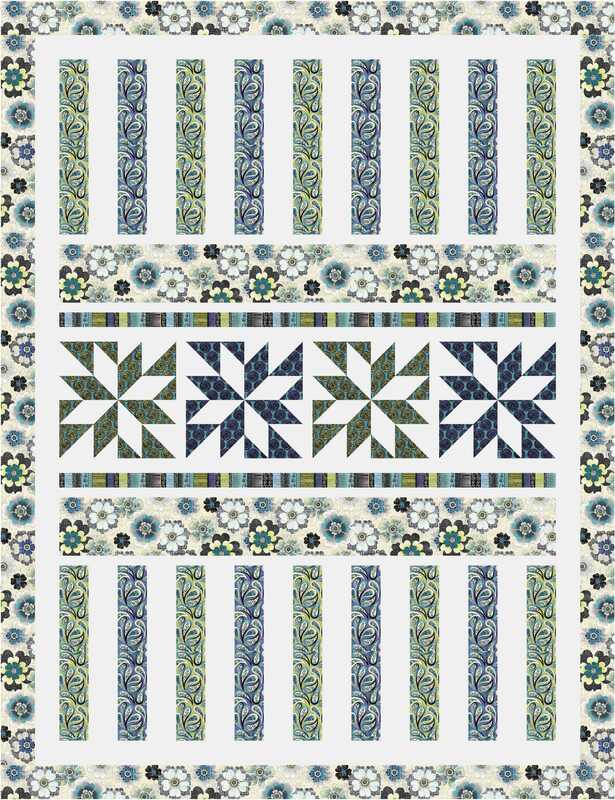 The design concept is based on making a quilt with a minimal number of pieced blocks, sort of like the orphan block treatment, with the finished size being enlarged by adding strips and borders. 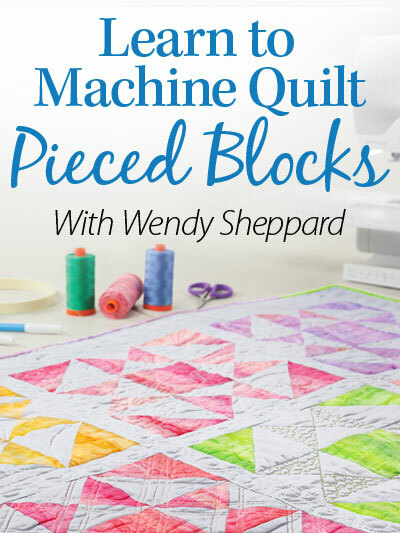 So, if you have a few pieced blocks that you have made before, but don’t have enough to complete a full quilt, try adding strips here and there to add to the finished size for a quick way to finish up a good sized quilt top. Here you see the template-pieced blocks. And here you see the strips. 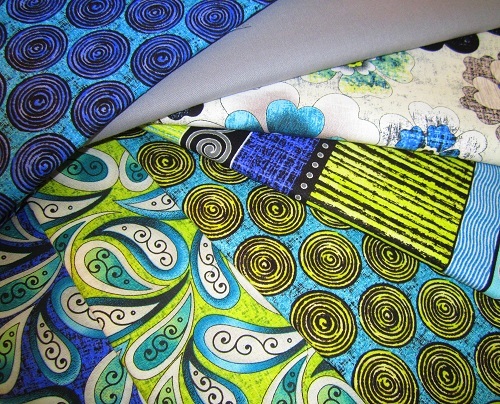 Urban Oasis uses fabrics from Benartex’s Urban Oasis fabric collection. Click here to view the entire fabric range. 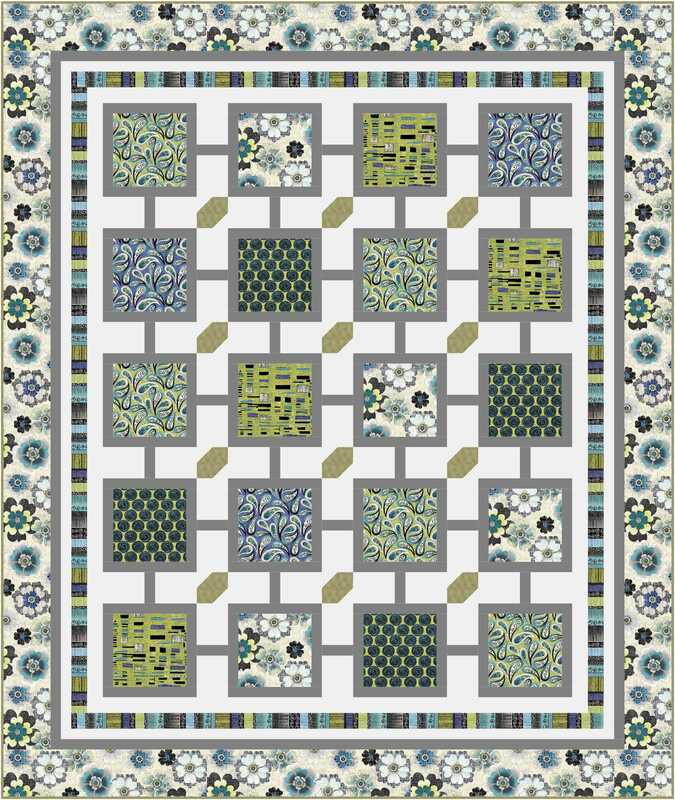 You might recall I had designed for Benartex a free to use pattern, Silver Lining, using the same fabric range. 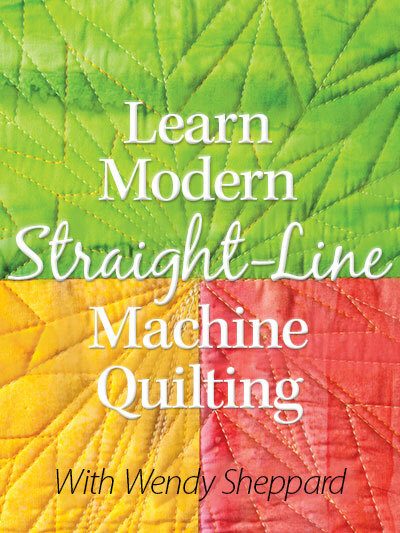 Click here for information on downloading the free pattern instructions. 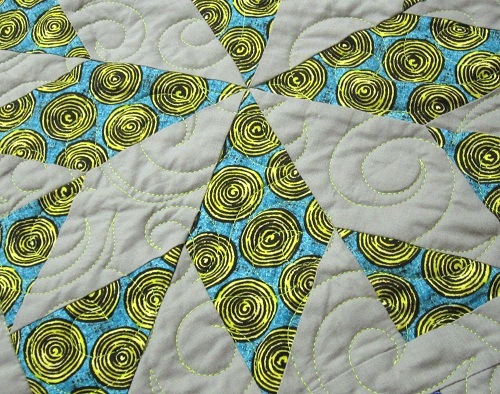 Back to Urban Oasis the quilt… quilting is done using Aurifil Mako 50 Cotton thread in lime green over Hobbs Tuscany Silk batting. 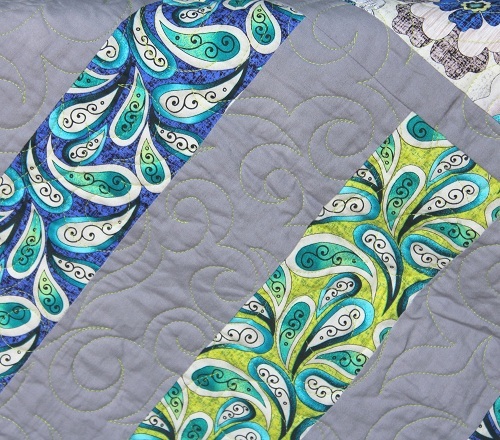 The lime green, I hope you can see it, gives a nice contrast to the gray in the quilt. 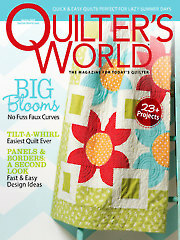 The quilting motif is my allover Jester’s Hat motif that I talked about in my online “Learn to Machine Quilt” class. 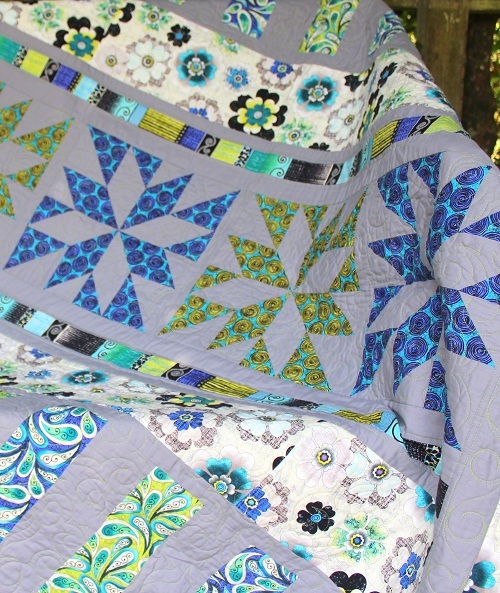 I hope you have like my “chic” Urban Oasis quilt. 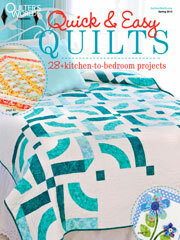 I am really interested to know if you have other ways of treating orphan blocks and making them into bigger quilts! Thanks for stopping by, Dear Friends! I hope you have a lovely and a most blessed weekend! 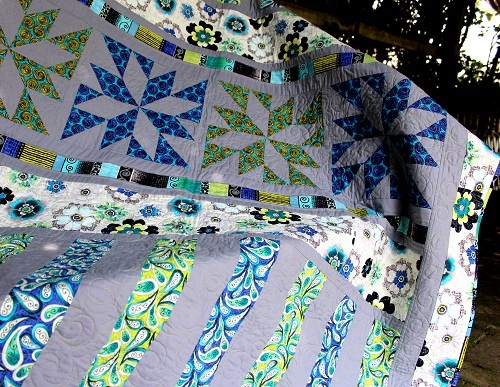 This entry was posted in Quilt Pattern, Quilting, Quilts & Projects: Published, Quilts: Pieced and tagged Benartex Urban Oasis, Quilter's World Spring 2014, Wendy Sheppard Designs. Bookmark the permalink. You do such awesome work. What an imagination you have to come up with the designs you do. What a great idea for orphan blocks! I have to make a baby quilt and, while I can’t use any of my orphan blocks for it, this has given me an idea for the baby quilt. Love the inspiration – thank you! Love it!! The prints almost have an irridescent look to them!!!!! Love “Jester’s Hat”! Hugs………………………………. Hi!!!! I had seen this and loved it!!!! It is beautiful!!!! That is a great idea for those orphan blocks. It looks great with organized fabrics too!!! 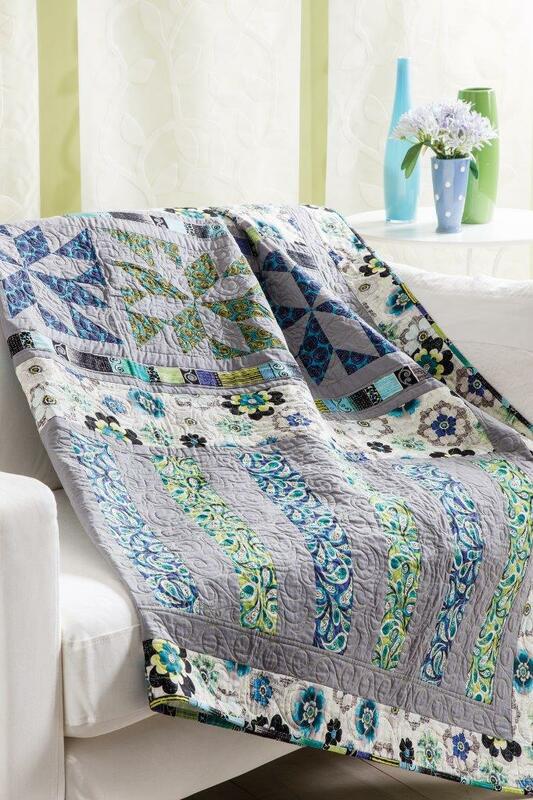 I really liked the Silver Lining quilt when you first showed it…..and still do. The colors are just fabulous. Hmmmmm great idea for the use of orphan blocks. Mine are just gathering dust on a shelf in the cupboard. I really like what you have done. 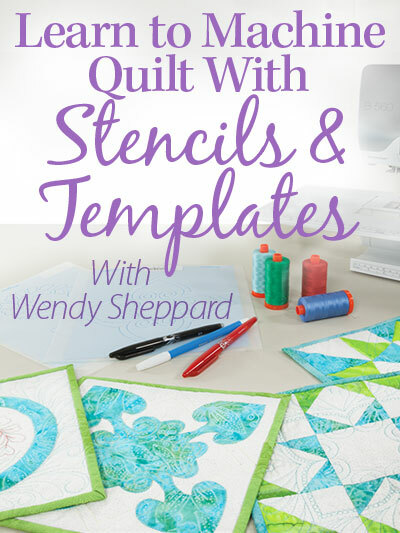 You have “sew” many great ideas. Thanks for sharing. 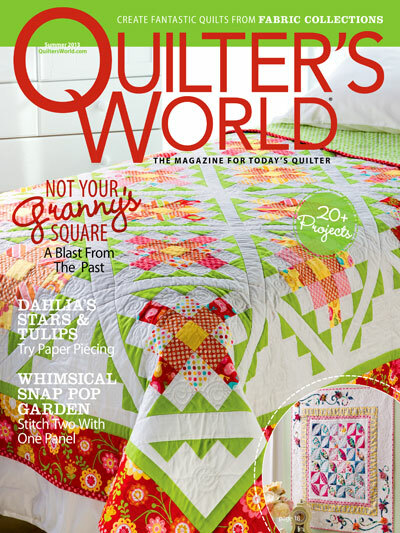 I better track down a copy of Quilter’s World. Wow !! Very refreshing looking!! 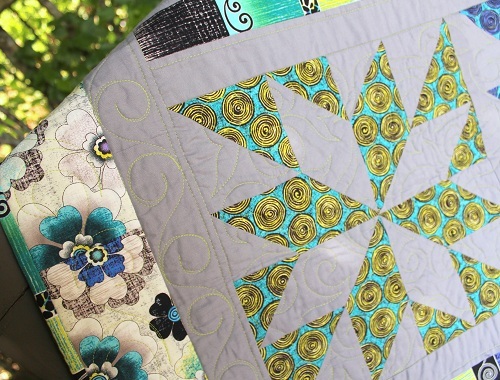 Love the template pieced blocks! 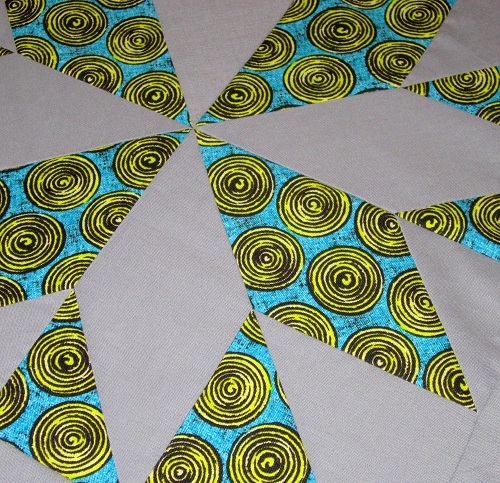 I’m making some pinwheels from a layer cake with no real pattern in mind…this would be a great look for it. 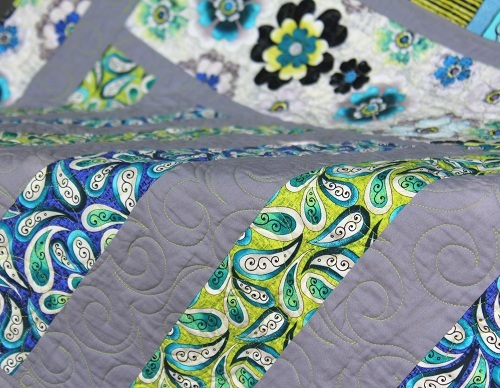 Love the lime green quilting! And your jester hats are always a hit, I have even used them a time or two lol. Thanks for sharing your awesomeness Wendy!! I am looking for the Urban Oasis patter but can’t find it. Can I get it from here?